P10 SMD outdoor flexible LED curtain wall is specifically developed for applications with see-through effects and great flexiblity on its installation and dismentlement. 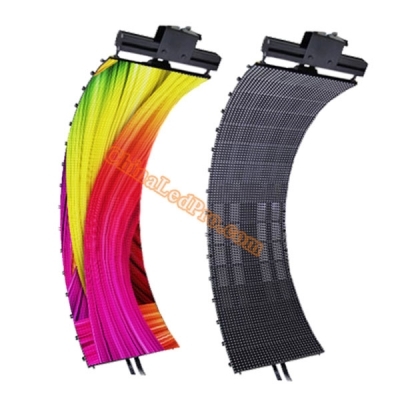 These high resolution P10mm solft LED curtain display panels are perfectly suited for stages, clubs, ceilings, etc. 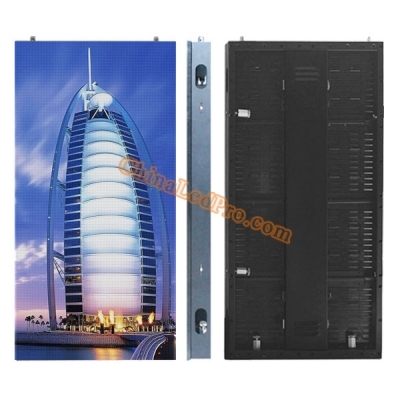 The best price above is based on one panel size of 320x 1280mm, EXW term. It is included with receiving card and necessary cables. It is not included with truss bar. The production time with aging test is 20 working days. - Widely used for staging, clubbing, ceiling and other creative events. We did our first show gearing with this P10mm flexible LED curtain wall a few days ago. Everything worked perfectly. Very satisfied with your good products and service! You are the best! Thank you!